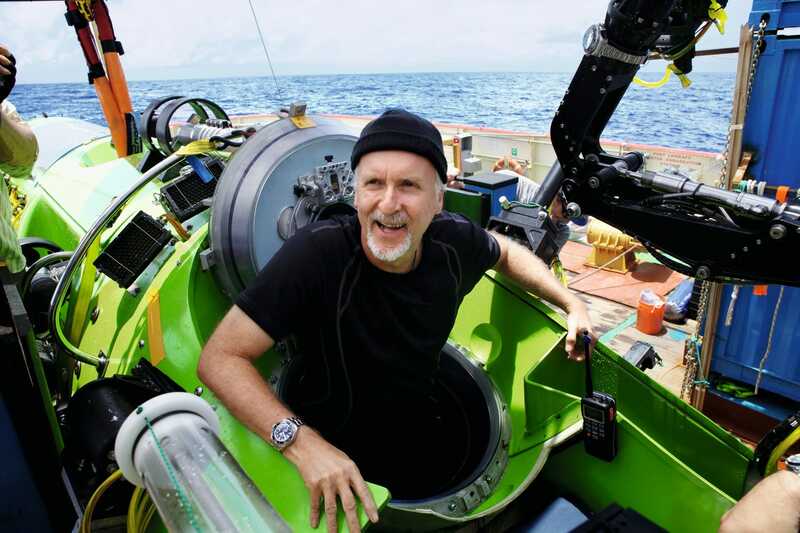 Recently James Cameron dared to journey seven miles below the ocean’s surface to the Mariana Trench where he collected scientific data and specimens in an effort to better understand Planet Earth. While on his journey within a vertical torpedo sub, Cameron relied on a specially crafted Rolex divers’ watch that was built to withstand the pressure associated with diving to such depths. This continues Rolex’s commitment to helping explorers navigate the world. Amazingly, fifty years earlier Rolex developed a special Sea Dweller Deep Sea wristwatch was connected to the Trieste as oceanographer Jacques Piccard and US Navy Lieutenant Don Walsh, explored the Mariana Trench. The day was January 23, 1960 when the crew dove to an amazing 35,814 feet. Much to the excitement of the Rolex Company, their experimental watch survived the trip and the heavy pressure that came with it. James Cameron going down to the Mariana Trench to analise and study what is beneath the water. During Cameron’s historic dive, he sported a Rolex Deep Sea watch with the words “Deep Sea Challenge” inscribed around the dial. The watch is made of stainless steel super-allow, with a 51.4 diameter and 2.85 thickness. Additionally, the case is comprised of nitrogen-alloyed stainless steel with Ringlock system and 5.3mm thick grade 5 titanium caseback. Its crystal is dome-shaped and made of durable sapphire crystal glass. The watch’s feature set allowed for Cameron to accurately decipher time throughout the experience. Upon greeting those who waited for him above the ocean’s surface, he shared his pure wonder at what he had seen in the depths of the sea. 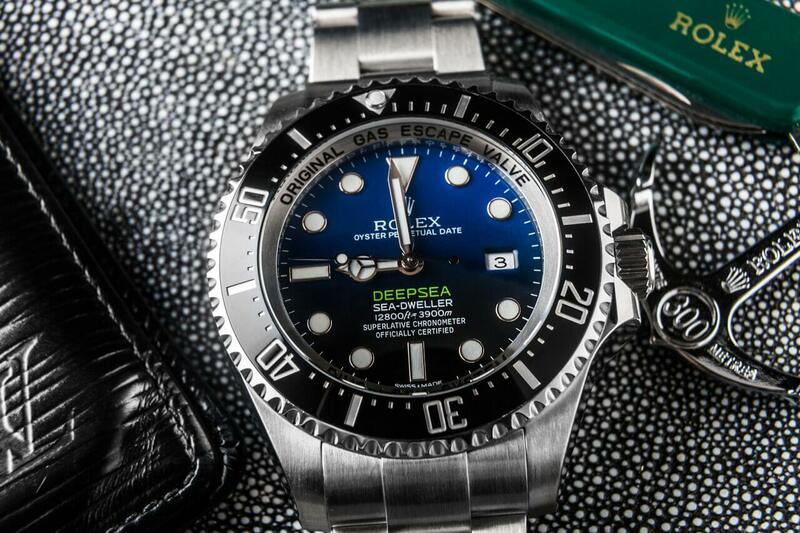 Rolex Deepsea D Blue Dial ref. 116660 has the same lime green color that was the submersible. As Cameron and other adventurers explore the ocean’s depths, Rolex will continue to be one of their top sponsors. And if by chance you are searching for an amazing diving watch to add to your collection, a pre-owned Rolex Deep Sea is an excellent choice.